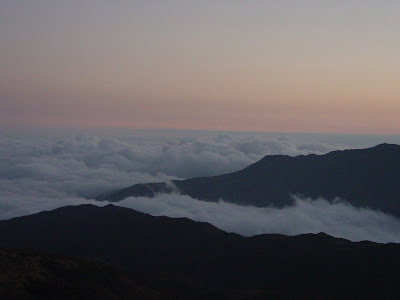 As you descend from the Hamasien highlands, you're confronted with a dramatic drop within a few kilometers. 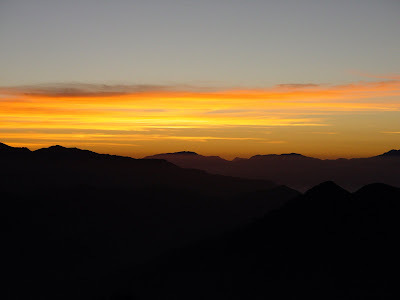 Above is the drop in the early morning, below the sun is coming up. 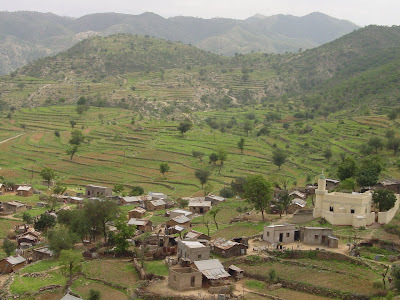 Ghinda, about halfway between Massawa and Asmara is extremely fertile and has created ways to make use of the slopes by creating steps. 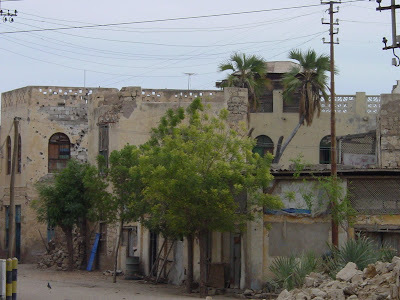 Massawa bore the brunt of much of the thirty year war with Ethiopia, as well as the 1998-2000 war over Badme. 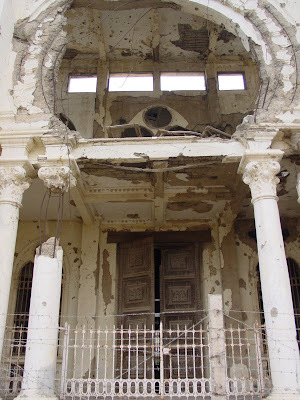 Despite the marks of war on many buildings, one can still appreciate that the architecture of Massawa uniquely reflects Italian influence and Eritrean building styles. Below is the famous Dahlak hotel, where my parents, brother and I stayed fairly cheaply (thank you mom and dad). We got stranded in a small motor boat between Massawa and a tiny island where we were going for the day. 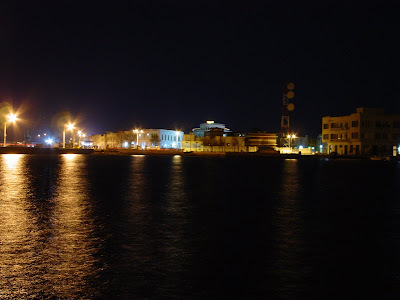 Massawa by night-- after the worst of the mosquitoes have left. 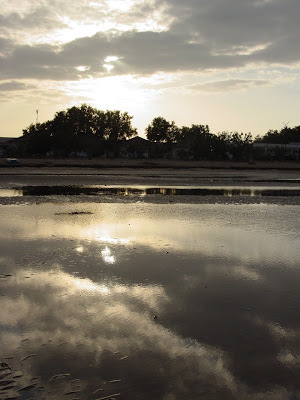 I won't write much here about Massawa; I mean no disrespect to all the stories that need to be told and am sorry for such a touristy perspective. 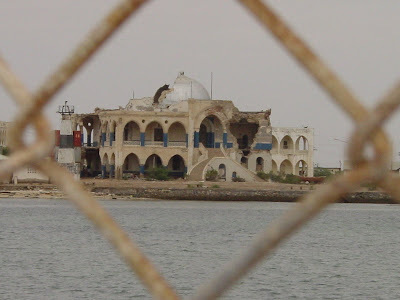 That said, perhaps we could do with a little tourism in Massawa! The most recent easy-to-read book on Eritrea is "I didn't do it for you " by Michela Wrong. I recommend it to those interested in Eritrea's most recent history. The other classic is "Eritrea: Even the Stones Are Burning " by Roy Pateman, if you're interested in learning about the war with Ethiopia. Our washer-dryer system has paid for itself! Yeah! We spent about $150 on the system, and have been using it since January. Before buying the washer and spinner, we spent about $5.50 a week at the laundromat. In terms of time, it's about equal and although we use much more human energy with the Wonder Washer, it's worth it. What interesting memories of those 13 months! Part 2 of Cape Town/Durban is also a distant memory!! Is it going to come?